Even though we don't head back to school for another three weeks, I decided to take a look at few school-related things recently and realized that my syllabus needed some major love. I was pretty happy with the syllabus content when I wrote it last year, but this year I knew I could do much better. Here is a look at my syllabus before. It's not the worst thing in the world (okay, maybe it is...), but it's a pretty standard syllabus with absolutely no visual interest. Now, several hours and a few cups of coffee later, here’s a look at my revised syllabus. 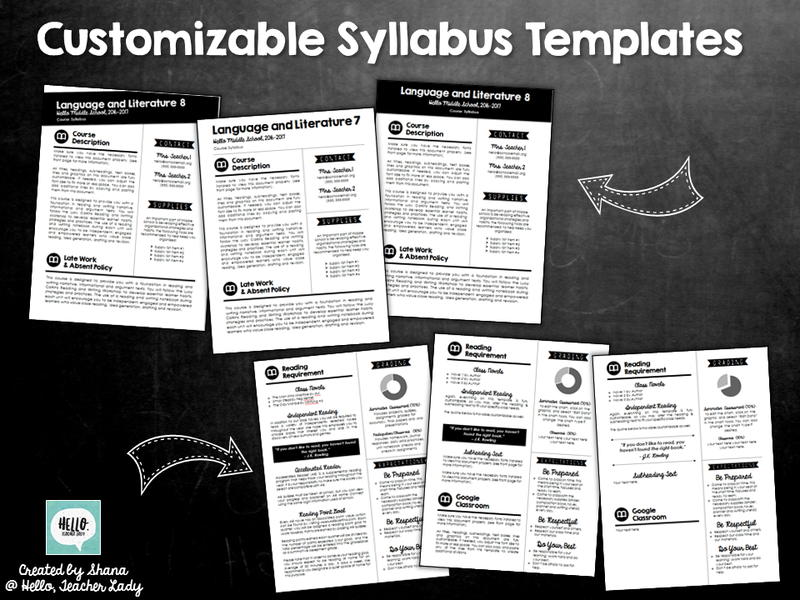 Since I had quite a few people ask me about this syllabus from my instastory yesterday, I decided to share the syllabus love by turning it into a downloadable template. It'll be posted as a freebie for the duration of my blog launch week. for exclusive access to upcoming products and freebies! Enjoy!